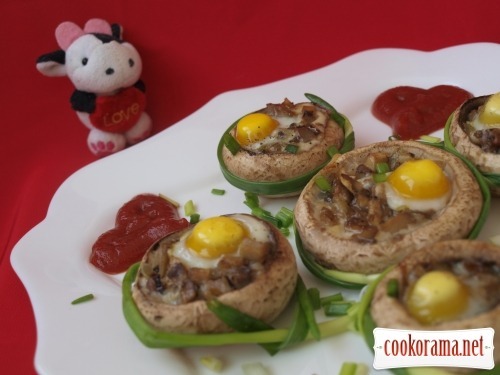 Generous and tasty appetizer for mushroom lovers. Separate the mushroom caps from feets. 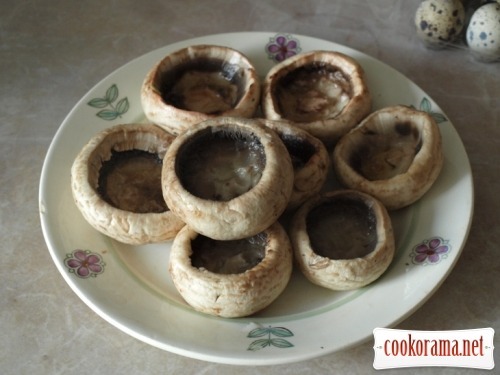 Dip caps into hot salted water and cook for 5 minutes (they will reduce in size, that's why it's important to take a larger mushrooms). Сhop mushroom feets with onion and fry in butter, add salt and pepper. 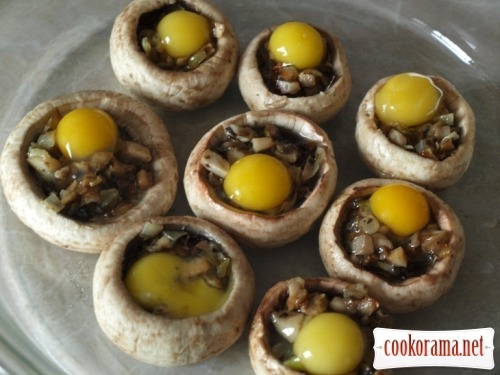 Stuff caps and put a quail egg on top. Put in preheated oven at 170 degrees and bake for 15 minutes (until egg шы slightly toasted). Spread appetizer on a dish and decorate as you like. 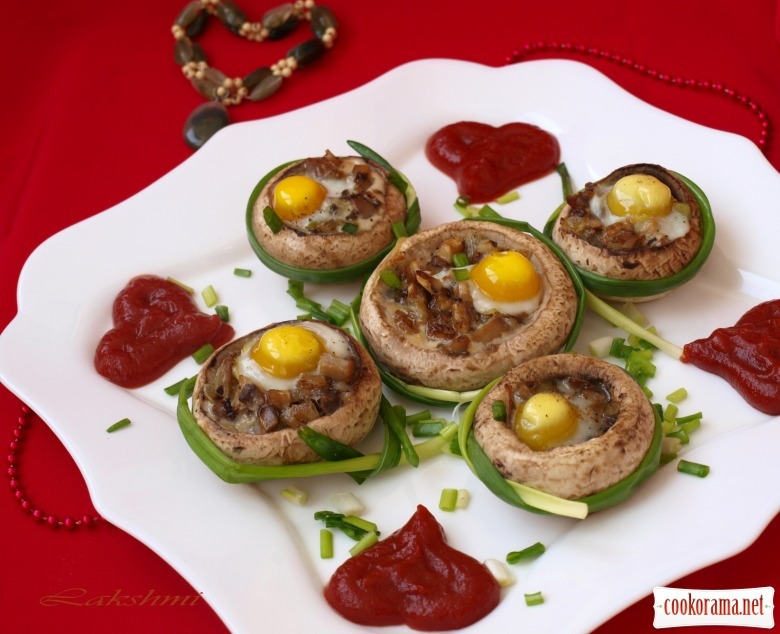 I drew hearts with ketchup and sprinkled mushrooms with green onion. PS. The recipe is published for the first time. Top of recipe "Stuffed champignon mushrooms"
Плюсик за оригинальность . Вторая половинка оценила старания ? Люблю такую штуку. еще можно внутрь мяска какого-нибудь по вкусу добавить — тоже вкусно! грибні шапочки не надто сируваті? Как оригинально, красиво и вкусно! Ликуся, спасибо за такую идею подачи!